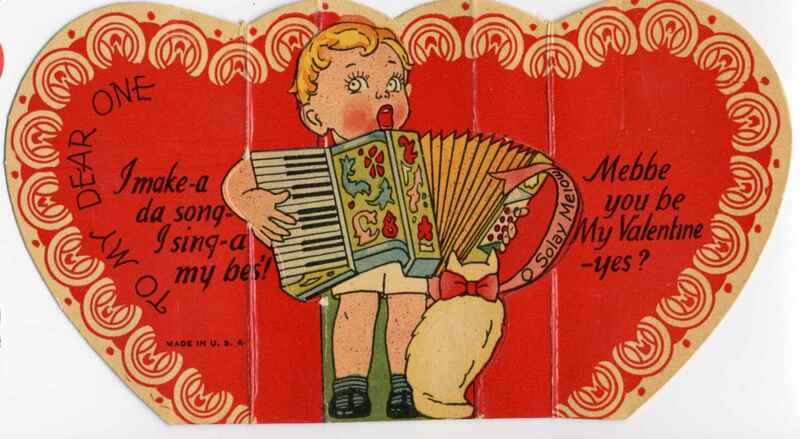 Full Description: One of a group of 'cute' mini Valentine cards, including stand-ups and more conventional formats, all featuring (or abusing!) the cartoon image of a concertina-like instrument, and labouring the play-on-words revolving around the phrases like "accordin'to me..." ac.cording to my heart...", etc. 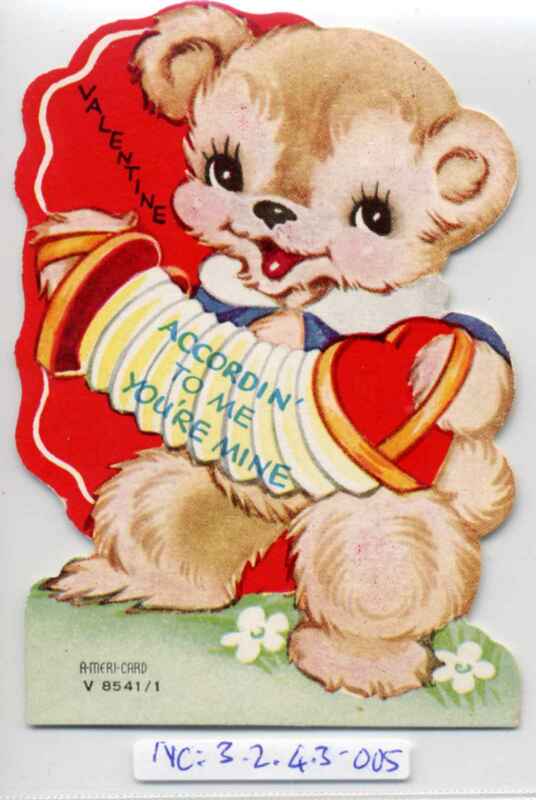 This item (a version of Item NC:3.2.4.3-002 ) features a teddy bear with a heart-shaped concertina, labelled "accordin' to me - you're mine". 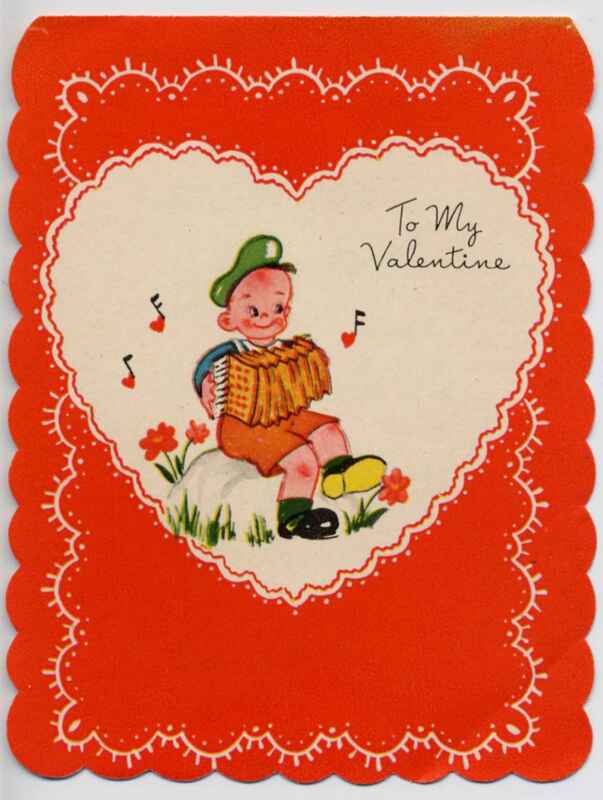 There are several accordion-related Valentines together with this Item.